This quick tutorial is going to show you how to use Unity Webapps with Google Chromium browser in Ubuntu 13.04, Ubuntu 13.10. As the default is Mozilla Firefox, you can manage to get unity webapps working in Chromium by installing a plugin. 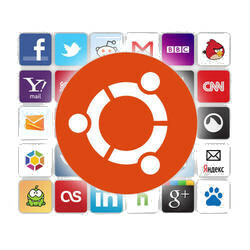 To install this plugin, go to Ubuntu Software Center. Search for and install the unity-chromium-extension package. NOTE: The default version in Software Center is 2.4.6 for Ubuntu 13.04. I recommend you install the latest version (2.4.7 so far) which is available for downloading from below link. This version fixes no gmail icon on Unity Launcher for Chromium 27 & 28. Unfortunately, new mail counts and indicator integration is still not working. Probably best to wait some more days for a fix. I can’t feel the difference between Unity webapps and the http:// on browser. Even on a slow PC, it may slow down PC. Does it useful for you guy?